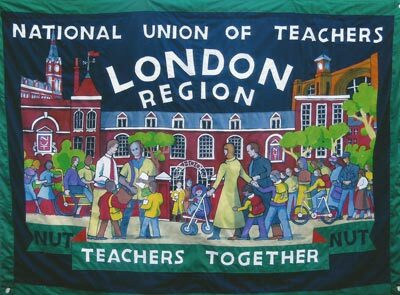 Founded in 1870, The National Union of Teachers (NUT) is a trade union for school teachers in England, Wales, the Channel Islands and the Isle of Man. It is a member of the Trades Union Congress. The Union recruits only qualified teachers and those training to be qualified teachers into membership and currently has over 300,000 members, making it the largest teachers' union in Europe. I was first asked to make the banner on the right for thew London Division in 2014.